I started right after my grandfather passed away. I was ten years and despite being quite young, I was very much aware of the fact that life can happen to you and whether or not you are able to receive what it doles out has very little to do with its justifications. Poetry was my sounding board and blissful escape. I still remember how my heart pounded with fury as my hands gripped the pencil and the pages began to swell with my thoughts. I had a lot to say and I knew exactly how to say them without compromising the unit that housed my inspiration. They say pain is a healer. It is also the catalyst for miraculous sightings that are spurned from forced enlightenment. The ability to primally own your static emotions without releasing your grip regardless of how much of the outside world you’ve plotted is all the assurance we need when pondering the weight of our spirit. There is no doubt that almost thirty-two years ago – I was unknowingly catapulted into a destiny that was strewn from the shreds of my guilt and shame that stemmed from episode in my childhood that changed me forever. I often wonder if I would have been encouraged to develop my affinity for words if I had not been forced to curate my escape route that has presently become my coat of arms. 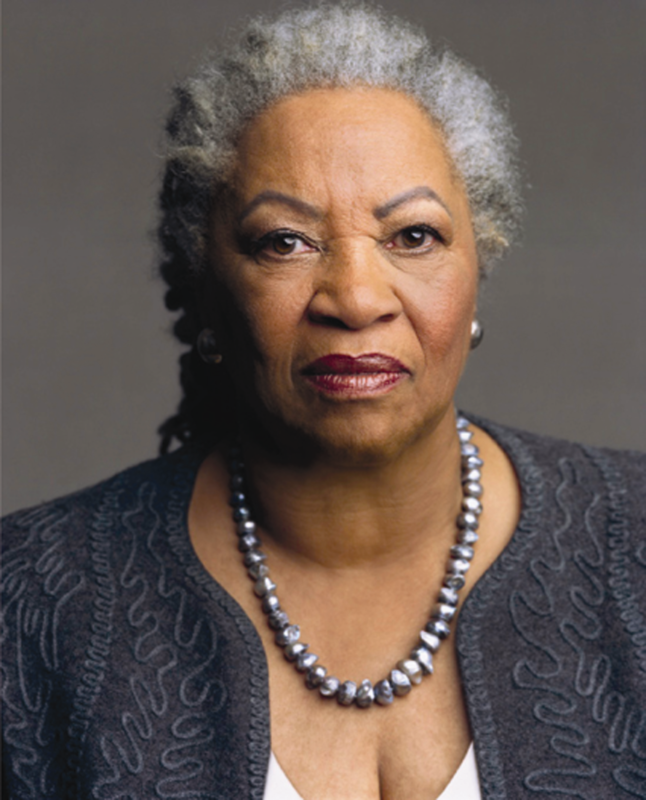 I first read Toni Morrison’s The Bluest Eye when I was twenty-one. I then proceeded to read it five more time back to back – just to bathe in this tremendous discovery. I was captivated by its vividness and the disarming way in which it catapulted the sorrow of each of the characters. Pecola Breedlove’s name alone was exciting to me. “Breedlove”. I imagined how satisfied she was when she decided on it. Pecola’s dire need for blue eyes wasn’t about the desire to be anything but black but rather an instinctual urge to feel validated and above all else loved. Morison’s ability to slaughter her readers with memories that she’s aware of even when they don’t belong to her has always been my torment. I was a jealous admirer who knew deep down that I would never be able to match such brilliance no matter how hard or how long I try. And I do try. I’m always aiming for that ladder of recognition. For that moment when I read my words back to me and feel the warmth of victory slowly cascade down my face to my bare feet. Has it happened yet? No. Have I come close? Almost. But there is still time. Toni Morison turns eighty-five today and we are all celebrating her catalogue of gems with overt reverence. I’m drowning in my realization that I will probably never write a book and if I do – it won’t be as good as it should be. I have been told on numerous occasions that “writer” write books and if you haven’t done this yet, you are not a writer. I tried to defend myself but internally the struggle that has always been within erupted. I know I want to create characters that already existed before I knew they were there. I want to make them shock you and warn you about how dangerous you are to your dark-skinned daughter who was delivered by you but represents the very thing you abhor. I want to tell you a story about people like you who choose the streets over your offspring because you’d rather remain frozen in your long gone youth then raise decent human beings. I would like to create a lengthy anthology that chronicles the tragic emergence of slavery and how we as black people have been unified by our need to denounce what makes us who we are because not that long ago – we were tortured for it. But then, I have this never-ending quest to build an epic that showcases bit by bit, how people of color would’ve thrived if the white man’s callous jealousy hadn’t overcome us. A world where porcelain skin is rebuked but not threatened and darker hues inspire power and healing. An existence that beckons our features to flourish effortlessly because we were born fully and immaculately equipped. This world is not a fantasy but rather a testimony of events uttered from the lips of the protagonist who is dark as she can be but harbors the hope that she will be even darker as she ages. I could go on and on but I won’t. Instead, I will praise the woman who I will not classify as a genius because that’s a cop out. She has given so much of herself because she has seen things and she knows why words can’t save us from the travails of time and countenance. We can try to hide within the confines of our construct but eventually the letters peel away from endurance – and we are left with just ourselves. Morrison can be described as an icon or legend, or even a national treasure. All those do her ample justice and on a day like this I would be willing to bequeath her with all of them. But today, she is just simply – a writer.